I said I would do it, and I did. 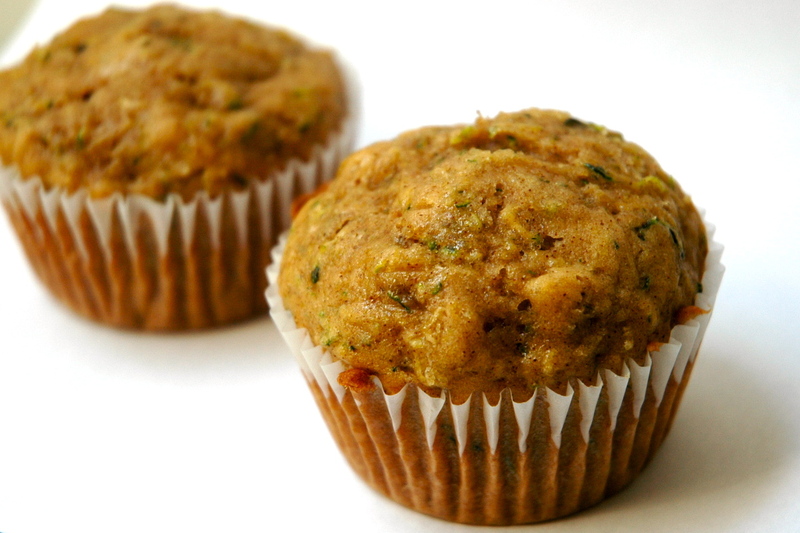 I have made some delicious vanilla zucchini muffins. They turned out fabulously — the zucchini added so much moisture (not to mention pretty little green specks) and I think my weekend classmates thoroughly enjoyed them. 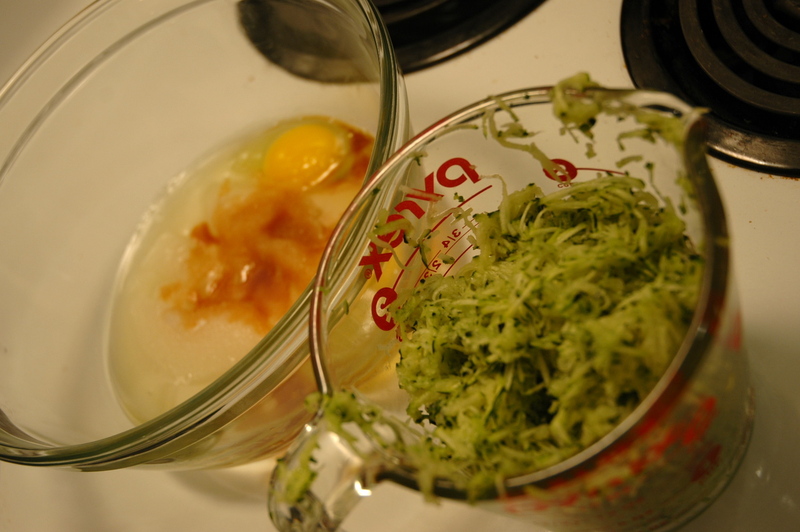 I admit that this was my first time shredding zucchini, and I managed to make a green, noisy mess. Luckily, no roommates were home at the time. I omitted the raisins (I didn’t have any and don’t personally love raisins in baked goods) but other than that, I followed Amanda’s Recipe to a tee. Enjoy! Combine eggs, sugar, oil and vanilla. Stir in zucchini. Combine remaining dry ingredients and set aside 1/4 cup dry mixture and toss with raisins and nuts. Add zucchini mixture to remaining dry mixture and stir to blend. Fold in raisins and nuts. 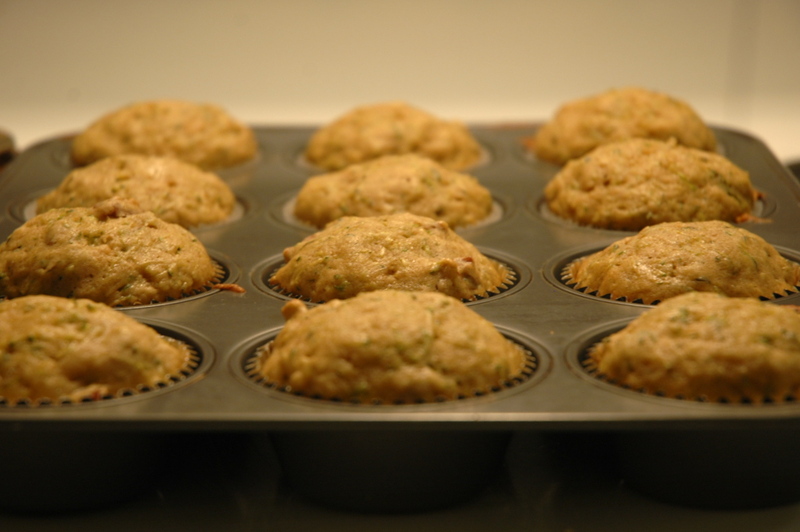 Place mixture 2/3 full into prepared muffin tins or cups. Bake in a 350 oven 20 to 25 minutes.